Delightful Victorian in beautiful neighborhood. 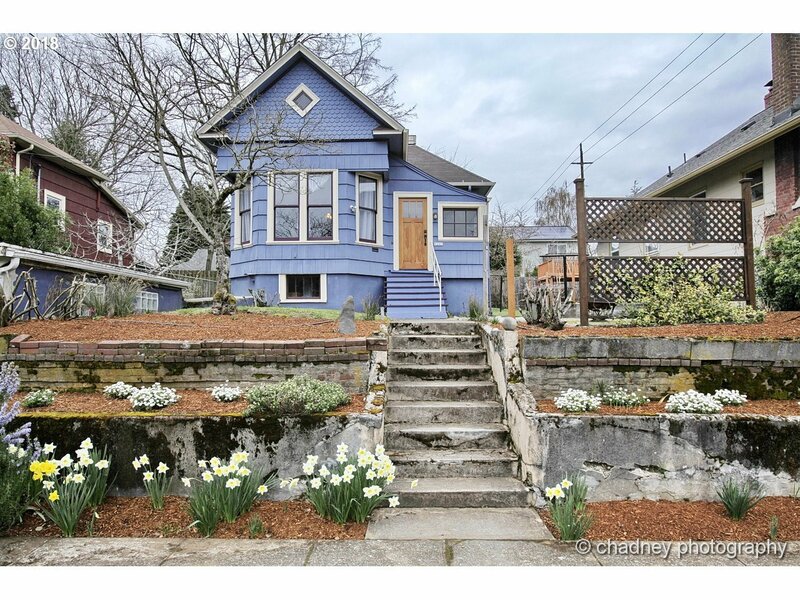 Move in ready, Victorian sits high up off the street with so much charm it's just darling. High ceilings, large windows, built-ins, formal spaces, updated kitchen & bathroom. Tuck under garage that you can access from the home as well as a fully fenced yard w/ raised beds and a patio. Excellent, central location. Close to Providence Hospital, the MAX, Tabor Tavern, QFC etc.